The POW/MIA table sits front and center at the National Guard Associaton of Oklahoma's Military Ball in Oklahoma City on Saturday, April 22, 2006. 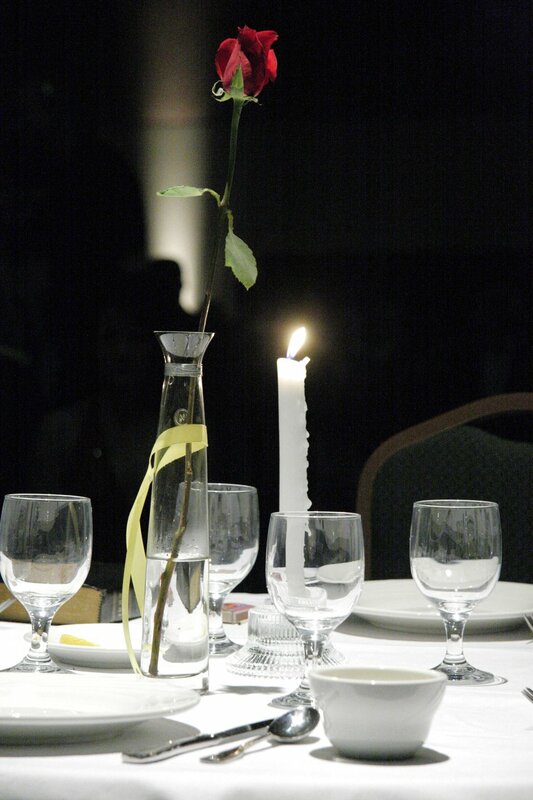 This table is set for our prisoners of war and those missing in action, from all wars. The table remains empty in hopes of their return. More than 500 people attended the annual event.